Reduce your oil and ghee intake with Ray cooking spray. With a cycle of 700 spray hits, it promises unchanged taste, and is a perfect replacement for quick greasing of baking pans for muffins, cakes and cookies. The sprays are available in four variantsai??i? ?sunflower, ghee, olive and groundnut. Available in leading online stores. Starting at Rs 395. Details: raycookingspray.com. and ayurvedic benefits, it comes in three variants ai??i?? Tata Tea Teaveda, which is the regular leaf tea, Tata Tea Teaveda Pro Energy and Tata Tea Teaveda Pro Woman, which are available in tea bags. Rs 40 onwards. Details: tataglobalbeverages.com. Mix your pancake batter, blend your smoothies and emulsify your dressings, all in one, with Tupperwareai??i? ?s Extra Chef. The multi-task food processor will save your cooking time and make your kitchen life fast and simple, with its cutting edge technology. Literally. At Rs 5,500. The Tasters Collections. With their fine bars and a chocolate appreciation guide theyAi?? come in reusable andAi?? recyclable containers. Starting at Rs 1,000. Details: cocoatrait.com. Home-based baking unit Dessertify in Anna Nagar is conducting a two-day baking and frosting workshop. 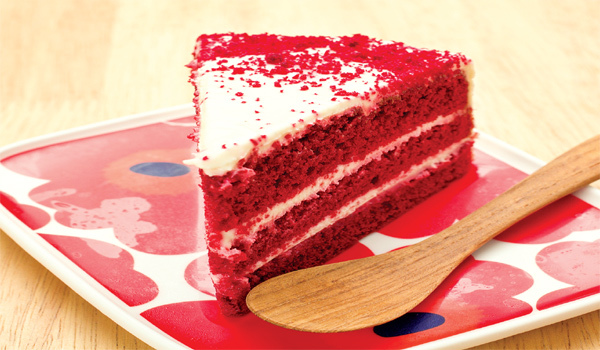 Tutored by baker Samantha, participants will learn to bake cakes in flavours like red velvet, vanilla, chocolate and plum. Frostings include chocolate ganache, buttercream and more. On December 10-11. At Rs 3,000 per head. Details: 9884342133. Park Hyattai??i? ?s The Dining Room brings to you Highway Bites. The festival will have some of the best street food flavours from across the world.Ai?? You can sample momos, hot dogs, kothu parotta, vada pav and more. Also try out dishes like pao-tse, Mediterranean falafel wrap, Goan chilly fry and Goan roast omelette. Rs 1,450 plus tax. Till December 18. Details: 49919965.